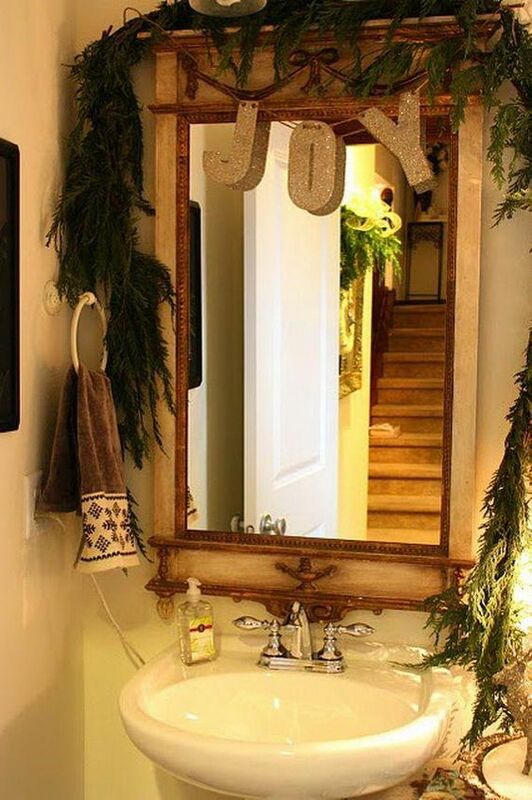 Make each of your spaces Christmassy! 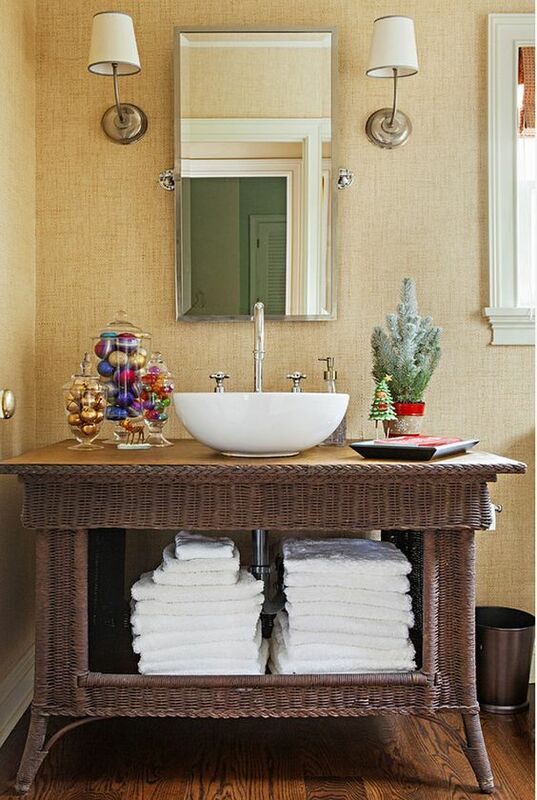 Not only your living room, bedroom and kitchen, don’t forget even the smallest spaces like bathrooms. 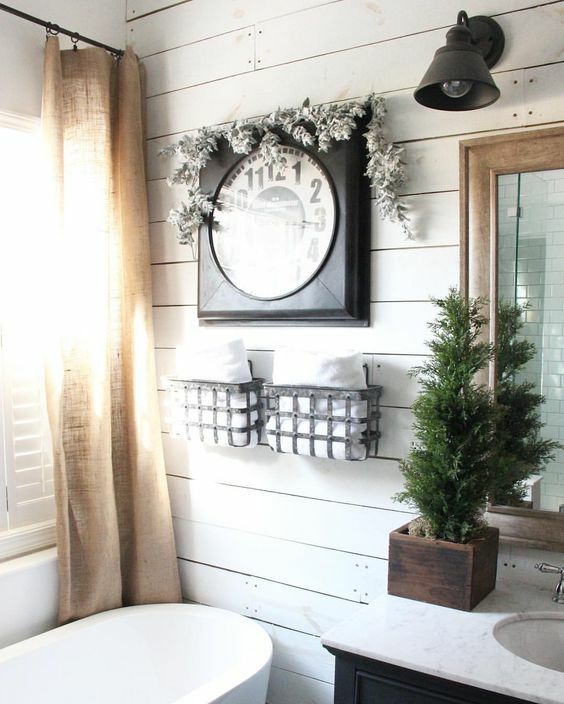 You most likely can’t move around furniture to make room and, between a shower and mirrors, your walls are probably already fairly full. 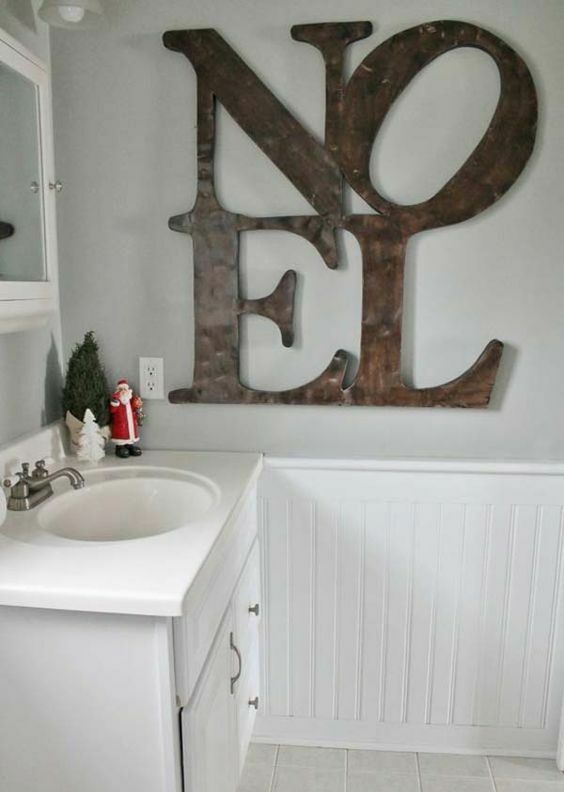 That doesn’t mean you should give up this festive opportunity, though. 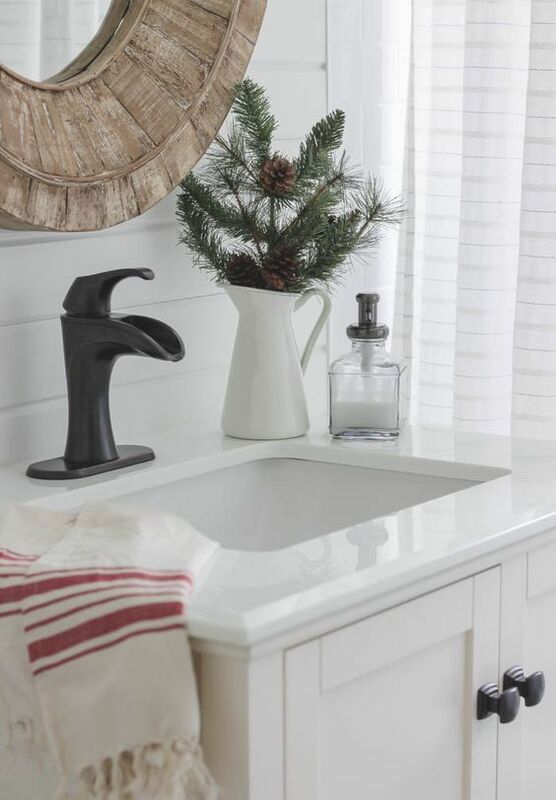 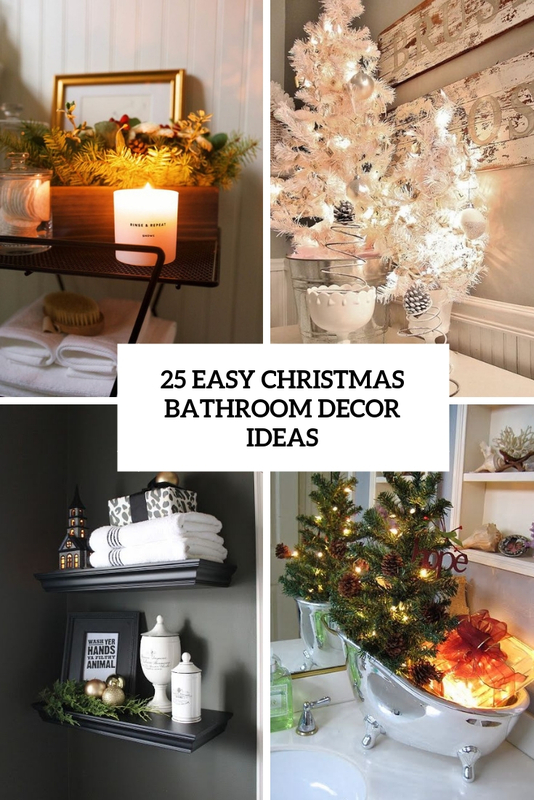 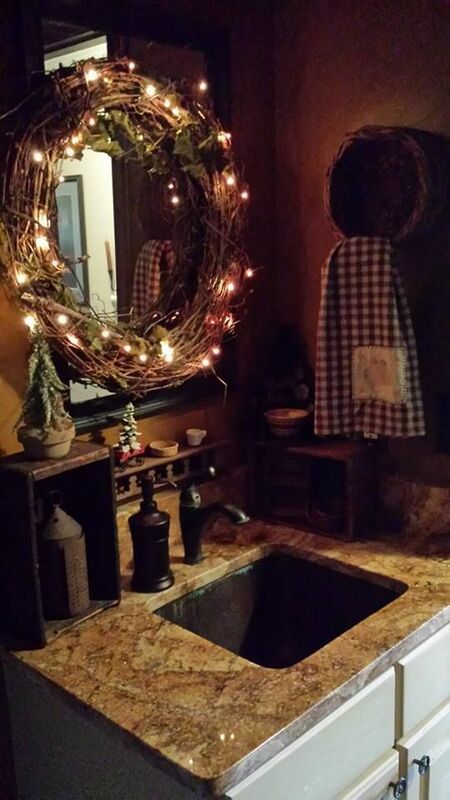 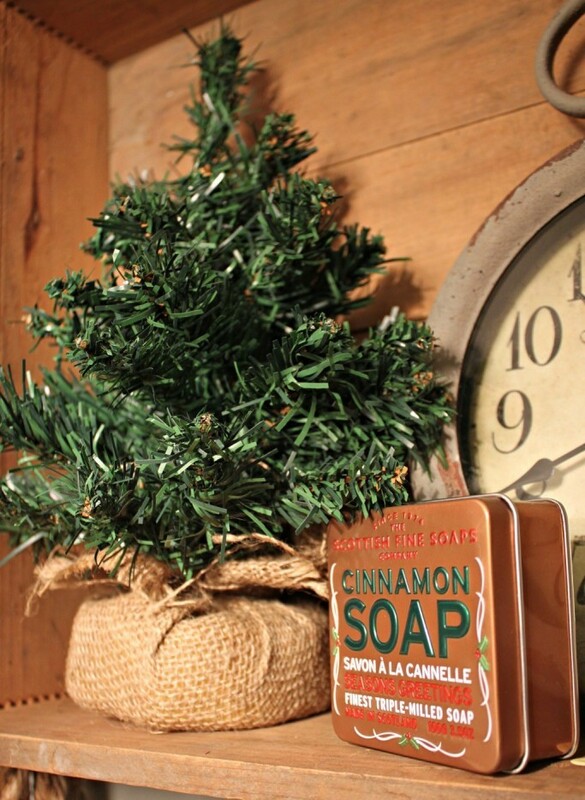 Here are some ideas to make your bathroom more festive. 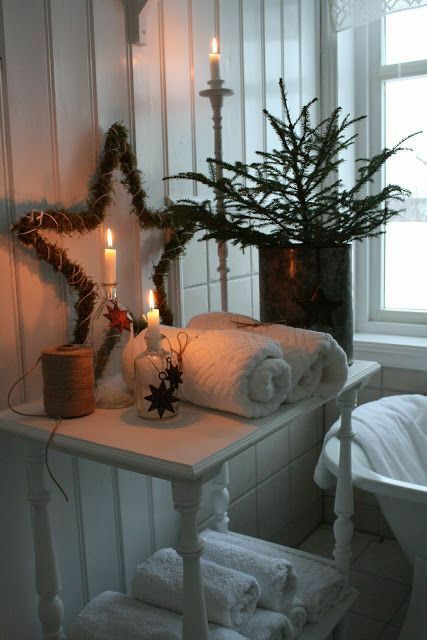 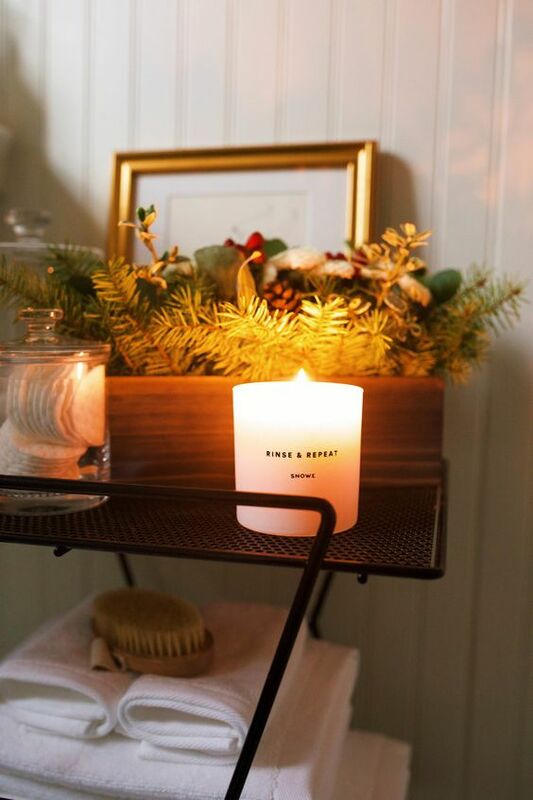 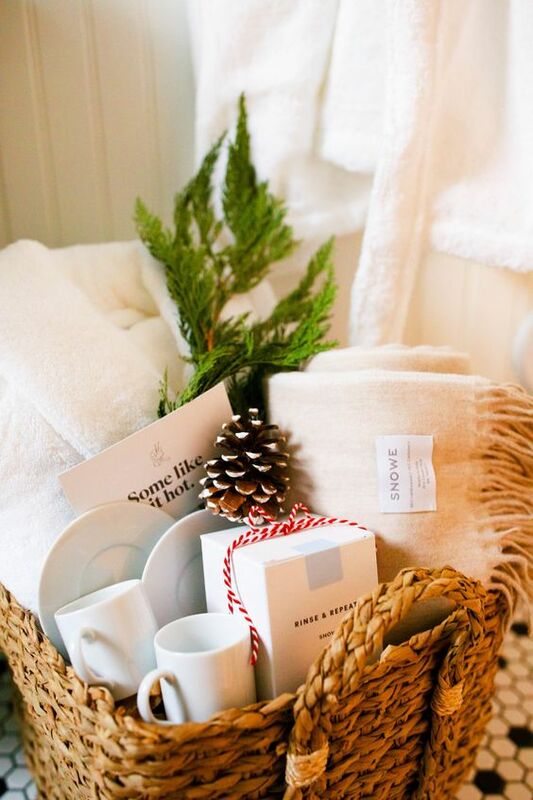 Bathrooms are usually small – this is the main reason why bringing a Christmassy feel to it is tricky. 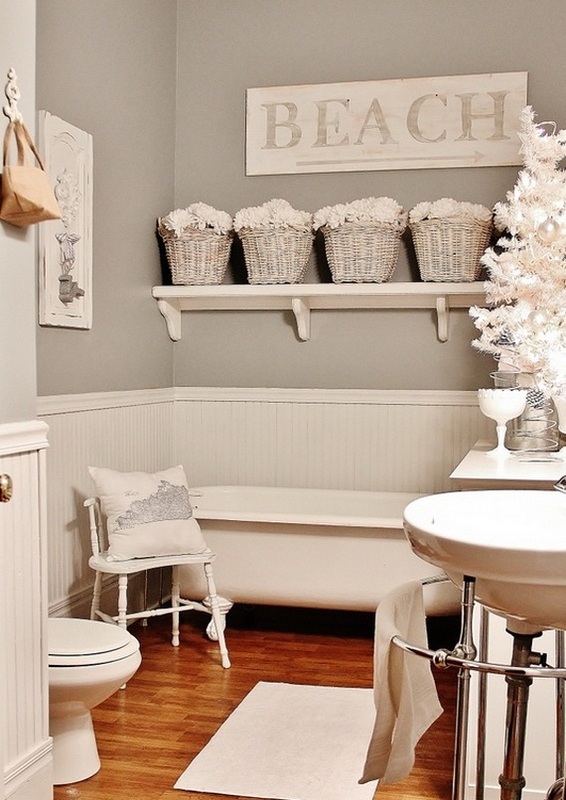 Use every inch of your space! 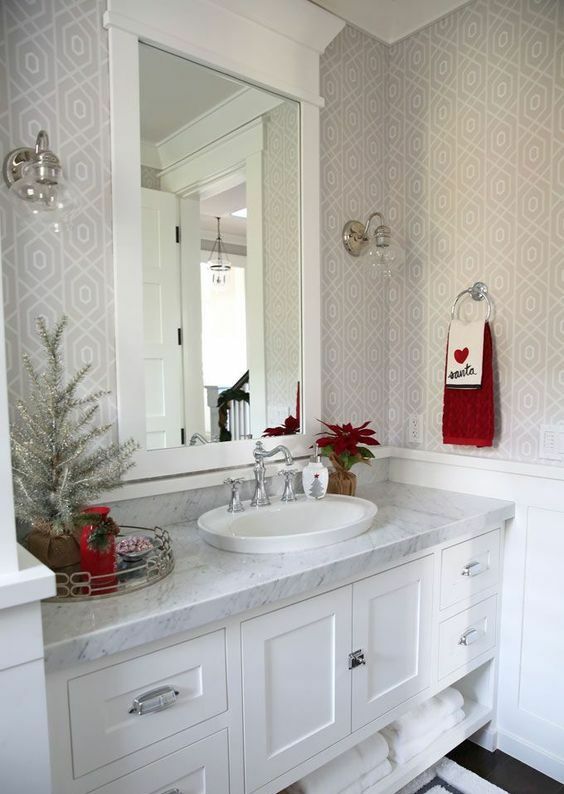 Some holiday-themed bath mats are a great way to get your bathroom ready for the season in seconds. 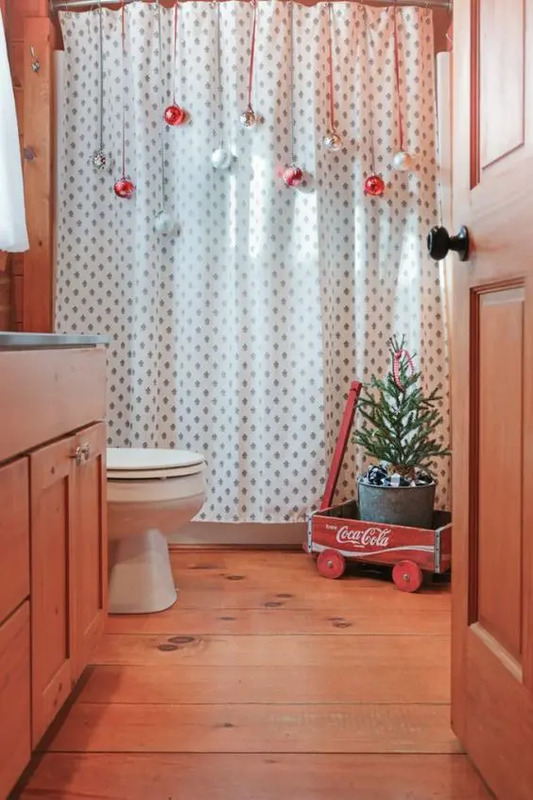 You may use walls and eve your shower curtain to keep the floor space uncovered. 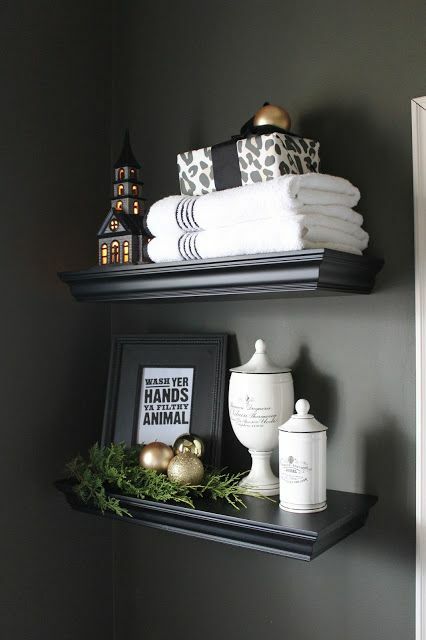 Hang a vintage sleigh on a wall as a shelving unit, make some simple shelf displays or just hang some ornaments on the curtain for holiday cheer. 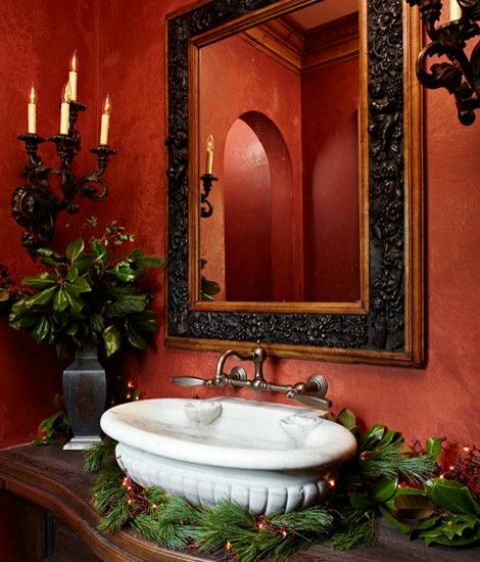 If your bathroom is already red, white or green, setting it up for the holidays is probably going to be a snap. 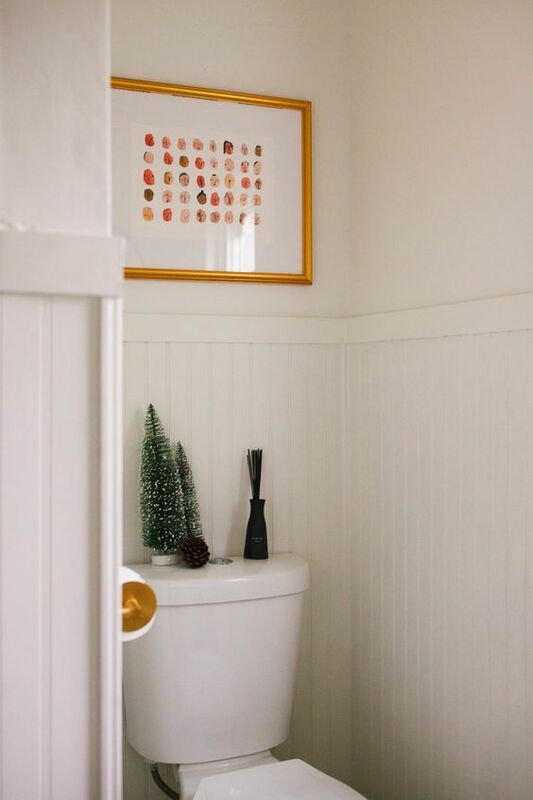 If it’s not, you may try to incorporate these traditional shades but it will be hard, and an easier way is to embrace what you have. 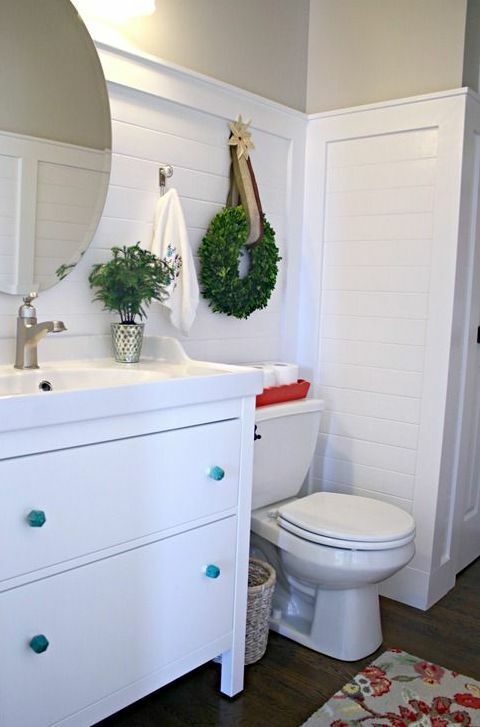 Is your bathroom blue? 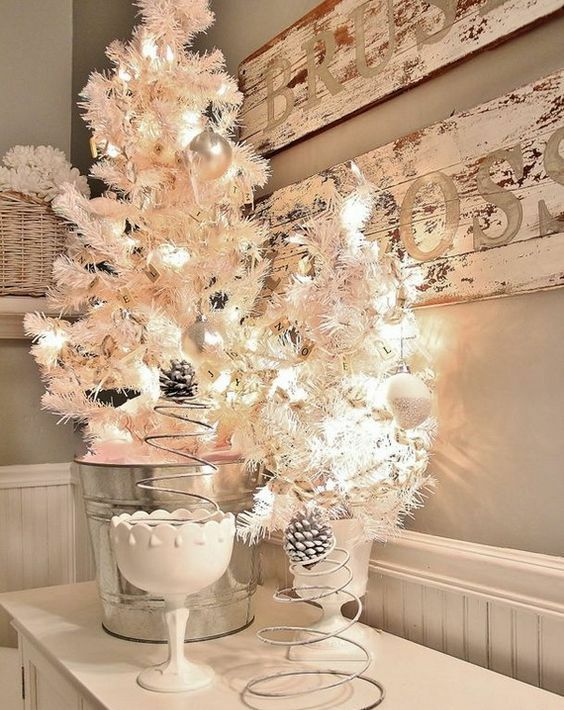 Work with silver, white and blue accents for a frozen feel. 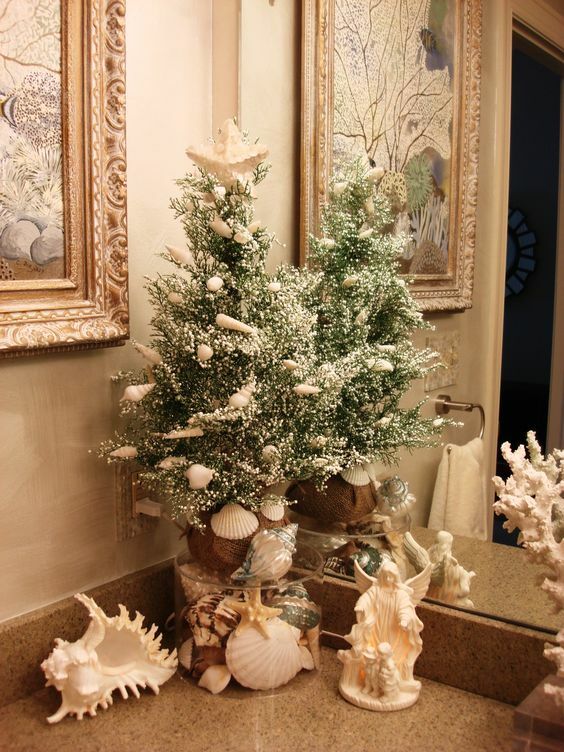 A modern or minimalist space can be easily enlivened with evergreens and pinecones. 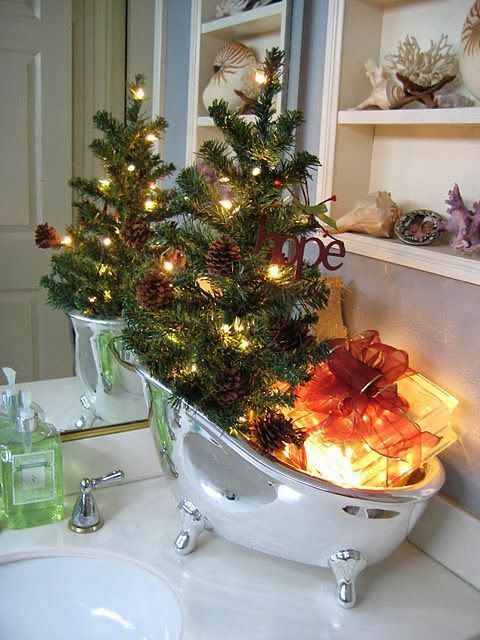 Decorating a bathroom for the holidays should be fun and you shouldn’t puzzle over it too much. 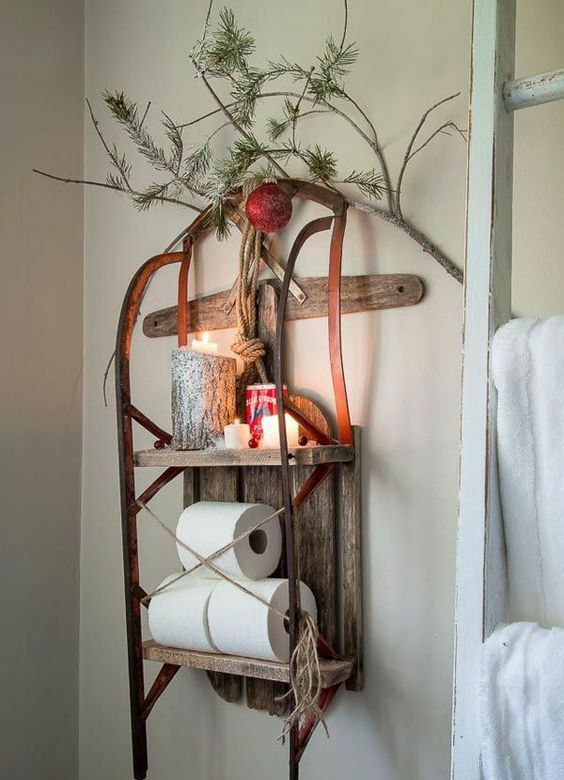 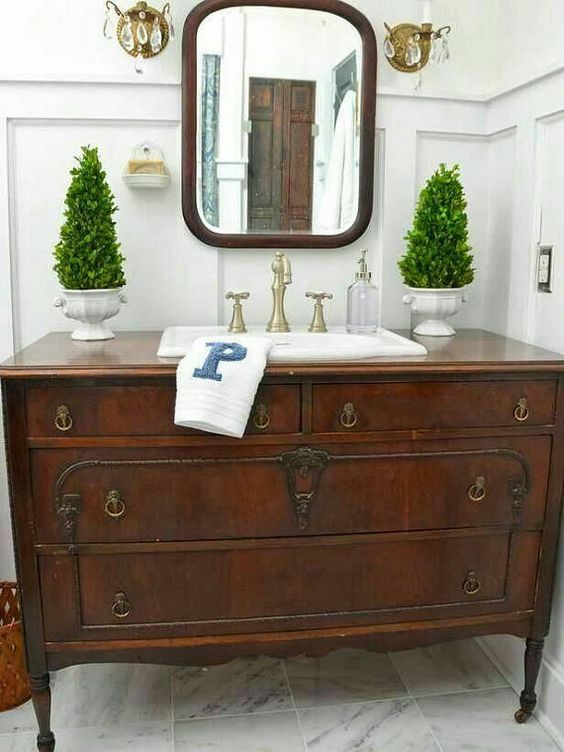 In the end, it’s only a bathroom and you won’t take a picture of it to keep it for years, will you? 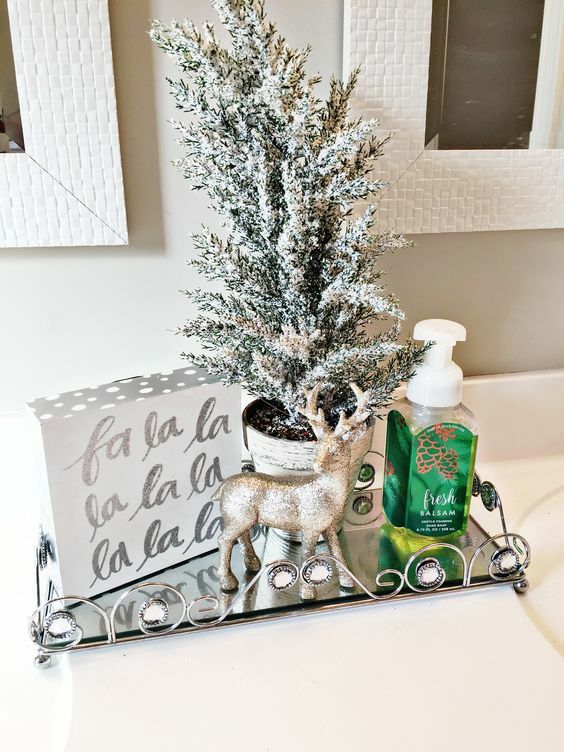 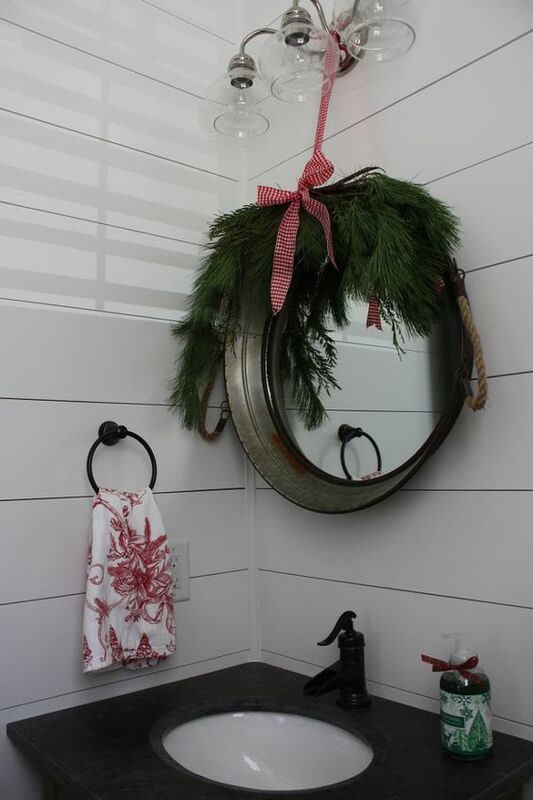 Simply draping some garland over the bathroom counter, adding a small vase of evergreen branches or hanging an ornament from a wall sconce is plenty.